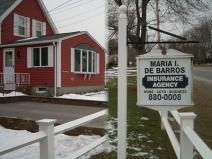 Maria I DeBarros Insurance Agency is a small independent agency located in Taunton, MA. For the past 20 years, we have been dedicated to providing personal, quality service. When you have a claim, we assist you until the claim has been paid. We provide various billing plans. We have in-house checkpoint and carco inspections.